PETRONAS has signed an agreement with PTTGL Investment Limited (PTTGLI) for PTTGLI’s equity participation of a 10 per cent equity interest in PETRONAS LNG 9 Sdn Bhd (PL9SB). PL9SB, a subsidiary of PETRONAS, owns the ninth LNG liquefaction train (Train 9) in the PETRONAS LNG Complex in Bintulu, Sarawak, Malaysia. PTTGLI is a subsidiary of PTT Global LNG Company Limited (PTTGL) which is a 50:50 joint venture company between PTT Public Company Limited (PTT), Thailand’s state-owned oil and gas company, and PTT Exploration and Production Public Company Limited (PTTEP). With a production capacity of 3.6 million tonnes per annum (mpta), Train 9 started its commercial operations in quarter one of this year, boosting the total output capacity of the PETRONAS LNG Complex to 30 mtpa. Following PTTGLI’s 10 per cent participation, PETRONAS now owns 80 per cent share in PL9SB, while the remaining 10 per cent is owned by JXTG Nippon Oil & Energy Corporation through its subsidiary, Nippon Oil Finance (Netherlands) B.V.
PETRONAS Executive Vice President & CEO, Upstream, Mr. Datuk Mohd Anuar Taib. 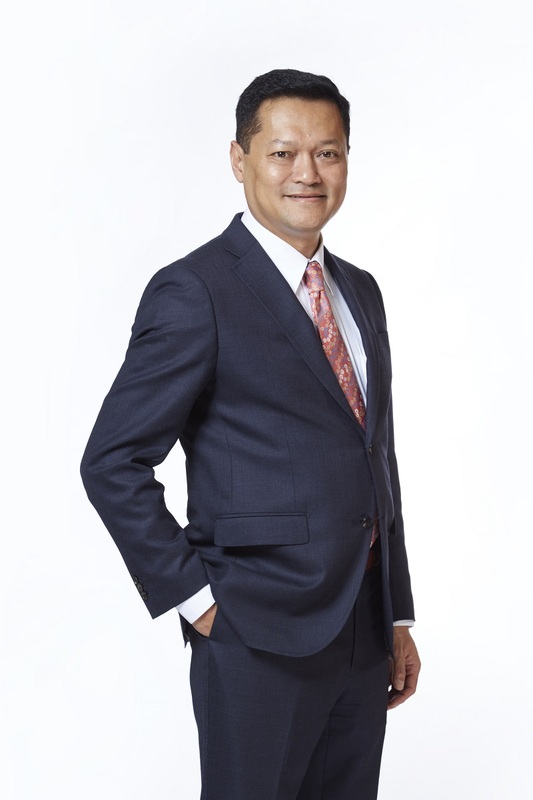 “This strategic partnership demonstrates PETRONAS’ ongoing commitment to grow our LNG business and more importantly pave ways for both parties to collaborate further in strengthening and maximising the integrated oil & gas value chain,” said PETRONAS Executive Vice President & CEO, Upstream, Datuk Mohd Anuar Taib. “This collaboration with PTT is also a catalyst for PETRONAS’ growth in the Thai gas market, as part of our long-term gas business strategy,” he added. This partnership is PTT’s second collaboration with PETRONAS in the LNG business following a LNG Sale and Purchase Agreement (SPA) signed with PETRONAS LNG Limited (PLL) in May 2017. Under the LNG SPA, PLL is committed to deliver up to 1.2 mtpa of LNG to PTT for a period of 15 years, till year 2031. The first cargo was successfully delivered on 20 July 2017 to the Map Ta Phut Terminal at Rayong, Thailand. PL9SB is PETRONAS’ fourth LNG company following Malaysia LNG Sdn Bhd, Malaysia LNG Dua Sdn Bhd and Malaysia LNG Tiga Sdn Bhd which collectively own all the LNG modules in the PETRONAS LNG Complex. With the addition of PL9SB and based upon the successful collaboration with existing international oil and gas partners built over the decades, the PETRONAS LNG Complex is one of the world’s largest LNG production facility in a single location.